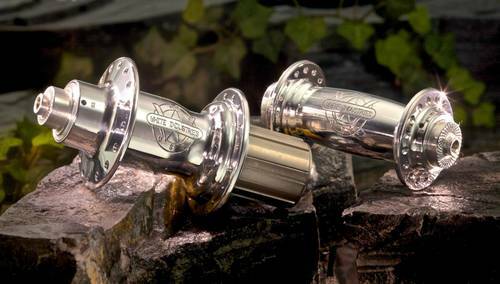 In 1992 we introduced the industries first suspension specific mountain bike hub, the Tracker. As we fast forward into today’s market place, one finds that the designs and products we currently create remain consistent with our roots. We engineer our mountain hubs to effortlessly manage the demanding nature of off-road riding. The hubset is ideal for those preferring rim brakes to disc brakes. 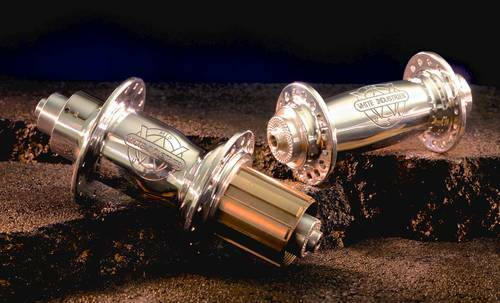 Equip a mountain bike, touring or road bike with the MI5 and benefit from the steel rear hub axle system, the Abec 5 Enduro sealed cartridge bearings, and in the rear the three tool steel pawls, and the titanium 11 speed freehub body which also accommodates 9/10 speed cassettes. Built to handle the demands of off road riding and comes stock for 135mm frames,or, upon request, it can be configured as 130mm and used on a road or touring frame.